With pressure on both houses of Congress to pass legislation imposing more sanctions against Iran, and without key opposition from the oil lobby, the Iran Sanctions Act of 2008 could be passed yet in the Senate. But the act could harm diplomacy not only with Tehran, but also with Moscow, thanks to provisions that are opposed by the Bush administration as well as several senators. Last week Iran hinted that it was ready to move forward with the P5+1 countries on negotiations over its nuclear enrichment program.1 But just as multilateral diplomacy with Tehran could gain traction, a congressional bill that was crafted behind closed doors before the Iranian overture was made now seems poised to stunt any progress. On June 18, the Senate Finance Committee overwhelmingly approved the Iran Sanctions Act of 2008, despite opposition from the Bush administration and other senators over certain provisions in the bill. With reduced time in session because of the election year and controversy surrounding the legislation, it is unclear if the full Senate will ever debate the Iran Sanctions Act of 2008 as stand-alone legislation. However, the legislation could be considered as early as next week if it is introduced as an amendment to the fiscal 2009 National Defense Authorization Act. In whatever form the legislation emerges, it seems clear that pushing for a new round of sanctions against Iran at this delicate stage of the situation is a bad idea. Instead, Congress should urge the president to engage in diplomacy without preconditions, an approach that the Bush administration has so far refused to try. To avoid opposition from the oil lobby—and to obtain broader support for the bill—a key provision of the 2007 legislation eliminating certain tax incentives for oil companies investing in Iran was dropped from the 2008 act. The new bill also dropped a requirement that the director of national intelligence submit to Congress an updated, comprehensive National Intelligence Estimate on Iran (though this requirement is included the Defense Authorization bill). Yet the Bush administration opposes the Iran Sanctions Act of 2008 because of two of its provisions, one which bars nuclear cooperation between the United States and Russia until Russia halts missile and nuclear energy aid to Iran, and another that would “penaliz[e] U.S. companies if their foreign subsidiaries knowingly violate U.S. sanctions laws.” 4 Secretary of State Condoleezza Rice wrote to Baucus, urging that the two provisions be dropped. According to Rice, “the bill will serve to divide the multilateral coalition that has come together to oppose Iran’s nuclear program.” 5 The provisions, however, were kept, despite an effort led by Sen. Jeff Bingaman (D-NM) to strip out the language blocking the Russia agreement. Representatives of European allies, primarily from Britain, France, and Germany (the EU3), as well as the European Commission, have lobbied against the Iran Sanctions Act on Capitol Hill. They oppose the legislation because its provision to sanction foreign subsidiaries of American companies could harm European companies that do business in Iran—the European Union is Iran’s main trading partner. 6 European allies also oppose the Iran Sanctions Act because its passage could harm diplomatic efforts in which the EU3 has taken a leading role. By Senate practices, a bill is referred to multiple committees by unanimous consent. However, according to the bill status on the Library of Congress website, S.3227 was referred only to the Senate Finance Committee. This move has created controversy between Democratic leaders of various committees. After the passage of the Iran Sanctions Act in the Finance Committee, the Senate Banking and Foreign Relations Committees also claimed jurisdiction over the bill. The committees want to hold hearings on any new sanctions against Iran before legislation is debated by the full Senate, since provisions contained in such legislation fall under these additional committees’ areas of oversight. Senate Foreign Relations Committee Chairman Joseph Biden (D-DE) and Ranking Member Richard Lugar (R-IN) and other key senators oppose the provision barring entry into force of the civil nuclear cooperation agreement with Russia. Their opposition could prove a significant roadblock for the bill. Following the Finance Committee’s approval, Senate Banking Committee Chair Christopher Dodd (D-CT) said he expected to mark up the bill in his committee during before the July 4 congressional recess, but no such mark-up occurred, nor was the legislation referred to his committee. Meanwhile, the act has proponents outside of the Senate. Behind the scenes, the American Israel Public Affairs Committee (AIPAC), the Washington, D.C.-based powerhouse lobbying group, is mounting pressure on Congress to adopt more stringent sanctions against Iran. According to congressional staff familiar with the Iran Sanctions Act of 2008, AIPAC initially expressed displeasure that the new sanctions legislation is not as tough on Iran as the 2007 act, which they heavily lobbied in favor of. 7 However, AIPAC circulated a letter to Senate offices supporting the 2008 Iran Sanctions Act and applauded the Finance Committee’s approval of the bill. 8 In addition to the fact that the legislation will expand sanctions against Iran, AIPAC also supports the resolution because of the provision barring nuclear cooperation with Russia. Given the reduced amount of time Congress is in session because of the election year and the mounting legislative priorities that must be accomplished in the shortened time, the chances of taking up the Iran Sanctions Act as a stand-alone measure are indeed slim. Yet there is still a possibility that Baucus or one of the bill’s other proponents could introduce the Iran Sanctions Act as an amendment to the 2009 Defense Authorization Act. Debate on the Defense Authorization bill is currently scheduled to begin on the Senate floor next week. However, with the controversy already surrounding the process by which Baucus has moved forward with the new legislation, any further attempts to bypass senators in charge of committees that seek consideration of the bill is viewed unfavorably by the Democratic leadership and could prove another significant roadblock to the bill’s passage. A House companion resolution to the Iran Sanctions Act of 2008 has not yet been introduced. If the Iran Sanctions Act were to pass as an amendment to the Senate Defense Authorization bill, then the House could agree to the measure during the conference committee to work out the differences between the two chambers’ versions of the Defense Authorization bill. In a sign of how the House might handle 2008 sanctions legislation, last year it overwhelmingly passed H.R. 1400, companion legislation to the 2007 Iran Counter-Proliferation Act, by a vote of 397–16. Moreover, during that vote, not a single member of Congress stood up to speak in opposition to the bill. With pressure from AIPAC on both houses of Congress to pass legislation imposing more sanctions against Iran, and without key opposition from the oil lobby, the Iran Sanctions Act, or some version of it, could be passed yet. But it would come at not only a price to for taxpayers—the Congressional Budget Office estimates that implementing the act’s provisions will cost more than $600 million between 2009 and 2013 9—but also to diplomacy. The legislation could undermine a much-needed breakthrough in negotiations over Iran’s nuclear program. On June 14, EU Foreign Policy Chief Javier Solana sent a letter to Iran on behalf of the foreign ministers of the “P5+1” nations—Britain, China, France, Russia, the United States, and Germany. The missive was meant to entice Iran with incentives to give up its nuclear enrichment activities and may have had a warming effect. On July 2, Iranian Foreign Minister Manoucher Mottaki told reporters that “constructive statements and approaches,” as well as an earlier proposal by Iran, had “paved the way for creating a new sort of atmosphere.” 10 Now that Iran might be considering negotiations on freezing its nuclear enrichment activities, 11 Congress should not undermine this potential diplomatic victory by seeking to impose more U.S. sanctions—particularly when such sanctions would harm relations with European allies and Russia. Sanctions alone are of limited use and cannot replace diplomacy as the sole means for resolving questions over Iran’s nuclear program—or any of the other outstanding issues between the United States and Iran. So far, none of the sanctions imposed against Iran by the United States or international community have produced a change in the behavior of the Iranian government. 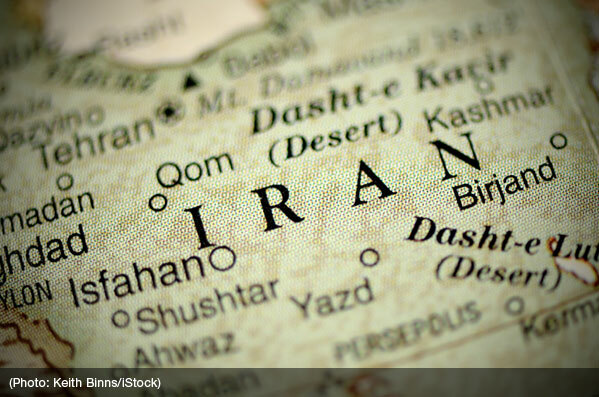 Before pushing for another new round of sanctions against Iran, Congress should urge the president to pursue diplomacy without preconditions, a policy that has not even been tried with Tehran but that could be fruitful. Unfortunately, the Iran Sanctions Act of 2008 only repeats the failed U.S. approach to dealing with Iran, which has been marked by threats and punitive measures. This is an approach that is increasingly recognized even by senior U.S. intelligence and military officials as inadequate and unconstructive. According to recent polls, six out of ten Americans want President George W. Bush to pursue diplomacy with Iran. 12 Prominent Iranian intellectuals, academics, dissidents, and human rights defenders, many of whom have suffered increasing arrests and prosecutions, have also urged the United States to stop threatening Iran and to enter into direct negotiations to resolve the crisis. 13 Instead of worrying about looking tough on Iran and bowing to interest groups, Congress should drop the Iran Sanctions Act, as well as any other attempt to impose more sanctions against Iran, and try a more courageous approach—urging diplomacy without preconditions. Carah Ong is a policy analyst at the Center for Arms Control and Nonproliferation and a contributor to PRA’s Right Web (http://www.rightweb.irc-online.org). She blogs at http://irannuclearwatch.blogspot.com. 1. Gareth Porter, “Iran Warms to Freeze-for-Freeze Plan,” Asia Times Online, July 4, 2008, http://www.atimes.com/atimes/Middle_East/JG04Ak02.html. 2. S.3227 Bill Summary and Status, Library of Congress, accessed July 8, 2008, http://thomas.loc.gov/cgi-bin/bdquery/z?d110:s3227:. 3. State News Service, “Smith Presses on with Iran Sanctions,” June 18, 2008. 4. State News Service, “Smith Presses on with Iran Sanctions,” June 18, 2008. 5. Letter from Secretary of State Condoleezza Rice to Senate Finance Committee Chair Max Baucus, June 17, 2008, http://irannuclearwatch.blogspot.com/2008/06/letter-from-condoleezza-rice-opposing.html. 6. “Bilateral Trade Relations, Iran,” European Commission website, accessed July 8, 2008, http://ec.europa.eu/trade/issues/bilateral/countries/iran/index_en.htm. 8. “AIPAC Applauds Senate Effort to Increase Pressure on Iran to End Nuke Pursuit,” AIPAC Press Release, June 18, 2008, http://www.aipac.org/Publications/PressAIPACStatements/Iran_Sanctions_Act_08_-_Final_Press_Release_6-18-08.pdf. 9. Congressional Budget Office, “Cost Estimate: Iran Sanctions Act of 2008,” June 26, 2008. www.cbo.gov/doc.cfm?index=9509. 10. Arthur Bright, “Iran Hints at Nuclear Talk Progress,” Christian Science Monitor, July 3, 2008, http://www.csmonitor.com/2008/0704/p99s01-duts.html. 11. Gareth Porter, “Iran Warms to Freeze-for-Freeze Plan,” Asia Times Online, July 4, 2008, http://www.atimes.com/atimes/Middle_East/JG04Ak02.html. 12. “Americans Favor President Meeting with U.S. Enemies,” Gallup Poll, June 2, 2008, http://www.gallup.com/poll/107617/Americans-Favor-President-Meeting-US-Enemies.aspx. 13. “Nobel Women’s Initiative Supports National Peace Council in Iran,” June 30, 2008, http://www.nobelwomensinitiative.org/index.php/content/view/246/28/.